As part of his research for a book on suburban life, self-described genius Mr. Belvedere takes a job as a babysitter for three hard-to-handle children. 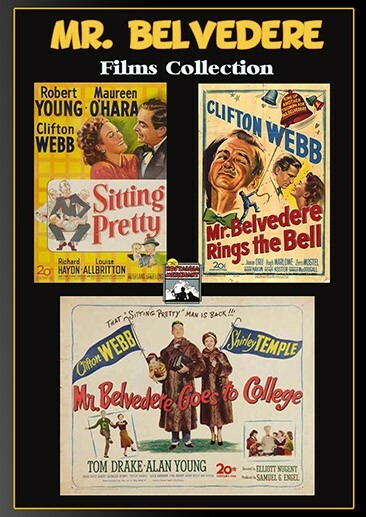 Clifton Webb recreates his Sitting Pretty role as Mr. Lynn Belvedere, the World’s Greatest Genius. Belvedere discovers that he is ineligible for an honorary award because he never attended college. So he enrolls as a freshman in a major university, becoming the target for “hazing” from obnoxious upper class-man Alan Young. Fifty-something “super genius” Mr. Belvedere pretends to be 77-years-old to trick his way into a senior citizens’ home where he helps invigorate the current residents. Mr. Belvedere also finds time to smooth a romantic path for a Reverend Watson and his fiancé.